Our networking selection includes all the latest technologies, such as Intel OmniPath, Mellanox Infiniband, Ethernet, Fibre Channel, and Serial Attached SCSI (SAS). From top of rack leaf switches for IPMI and data management traffic, to the fastest, lowest latency chassis switches, we have all the best networking components needed to setup your HPC cluster and data center. 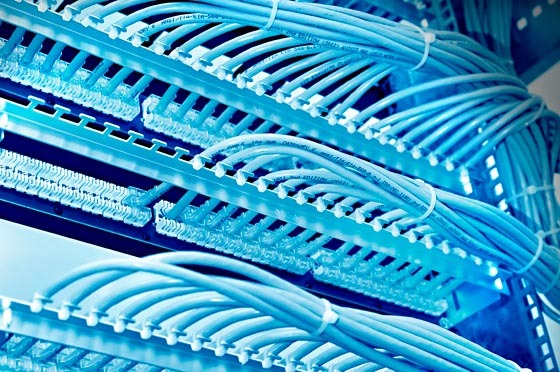 We offer solutions enabling up to 200Gbps Ethernet, and utilizing best of breed manufacturers including Intel, Mellanox, Arista, Brocade, and EdgeCore. The QM8790 has the highest fabric performance available in the market. The QM8790 provides up to forty 200GB/s ports with full bi-directional bandwidth per port. This is ideal to build High Performance Computing (HPC), Deep Learning and AI environments. The SN3000 switch series provides the most predictable, high density, 10/25/40/50/100/200 and 400GbE switching platforms delivering extensive visibility and the highest performance capabilities for the most demanding data center workloads.